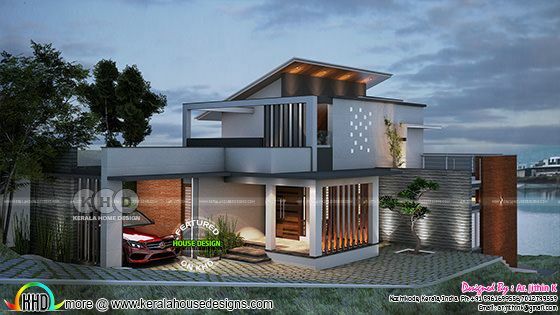 2032 Square feet (189 Square Meter) (226 Square Yards) 4 bedroom river side contemporary house with floor plan drawing. 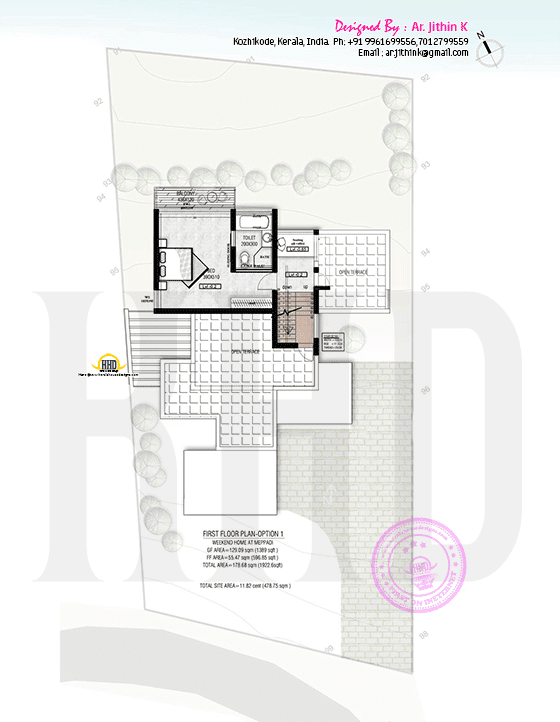 Floor plan and elevation by Ar.Jithin K from Kozhikode, Kerala. 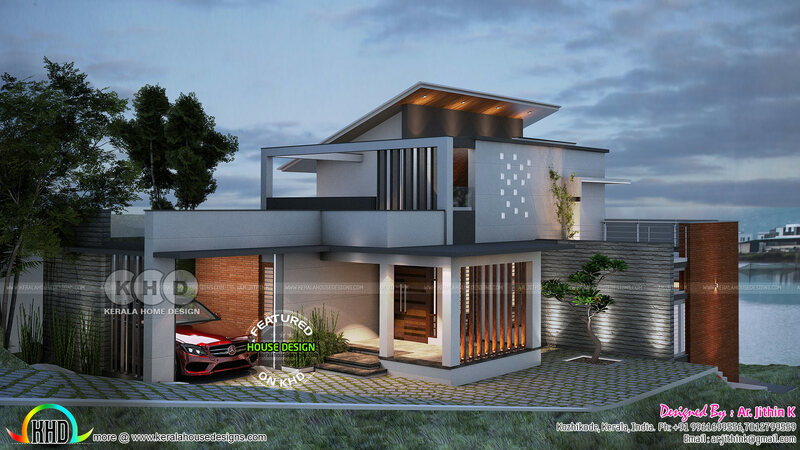 Ground floor Area : 1435.38 Sq. Ft.
First floor Area : 596.85 Sq. Ft.
Total Area : 2032.24 Sq. 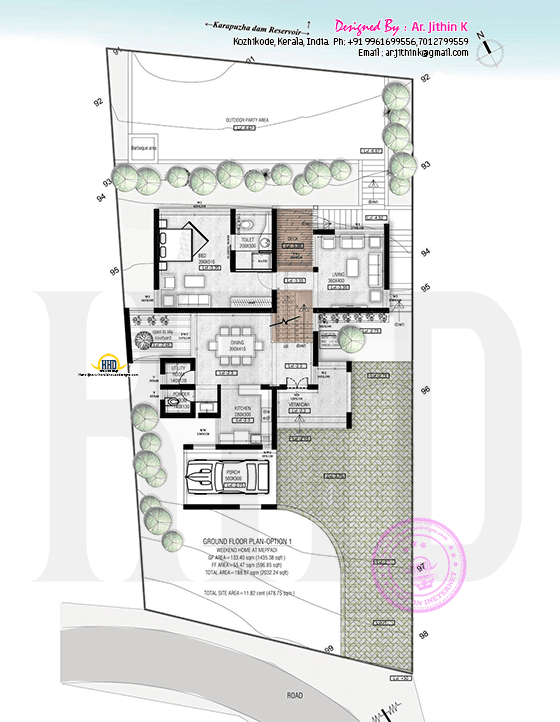 Ft.
0 comments on "Awesome ₹35 lakhs cost contemporary house with its floor plan"